Ngaio – supplier of leading diagnostic, food, molecular and veterinarian solutions. Ngaio Campylobacter - Rapid and simple latex test for the confirmation of enteropathogenic Campylobacters grown in enrichment broths or selective plates. 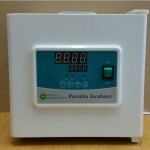 Ngaio Diagnostics Mini incubator with digital display and timer for use in all sectors. 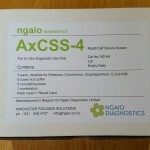 Ngaio Diagnostics Faecal Occult Blood Cassettes are a one-step faecal immunochemical test. DIY test to test walls, benches, hands or any surface you can swab for the residue of Methamphetamine.